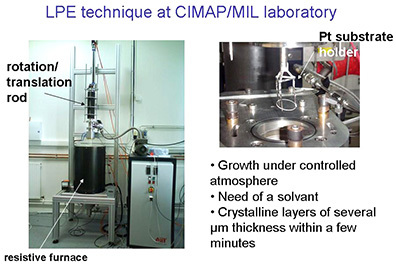 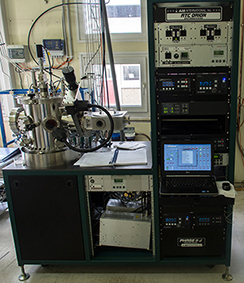 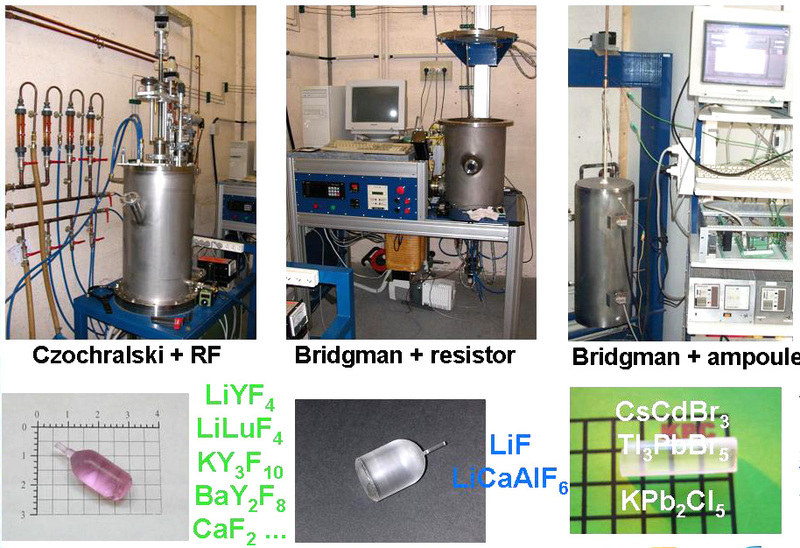 The CIMAP has expertise in the field of synthesis of thin films by magnetron sputtering or atomic layer deposition (ALD), thicker layers by Liquid Phase Epitaxial (LPE) crystals by the Czochralski method or Bridgman growth. 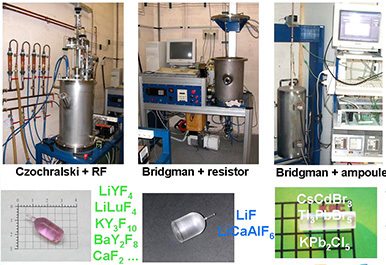 RF Magnetron sputtering AJA equipped with 5 cathodes allowing the simultaneaous sputtering of rare earth, silicon, silica, HfO2 targets..... Growth of Ag or Gold layers are also performed. 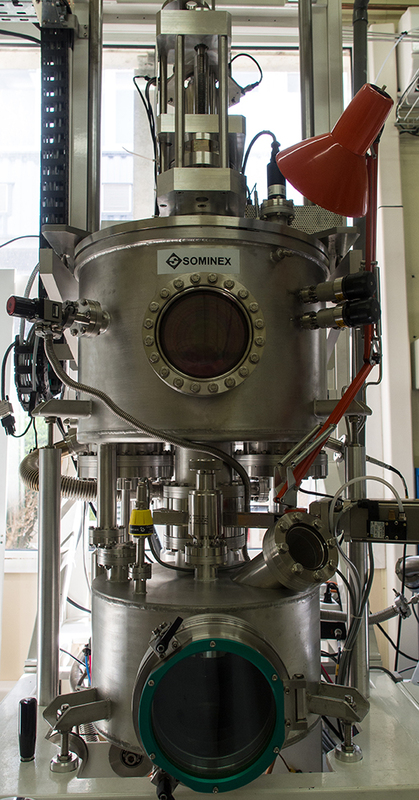 RF magnetron sputtering Sominex dedicated to the TCO (Transparent Conductive Oxide), ZnO, In2O3, Gd2O3 doped or not with rare earth ions.